Grouper fillets can be cooked any way you want; but the most popular is grilled, baked or fried. What does grouper taste like? 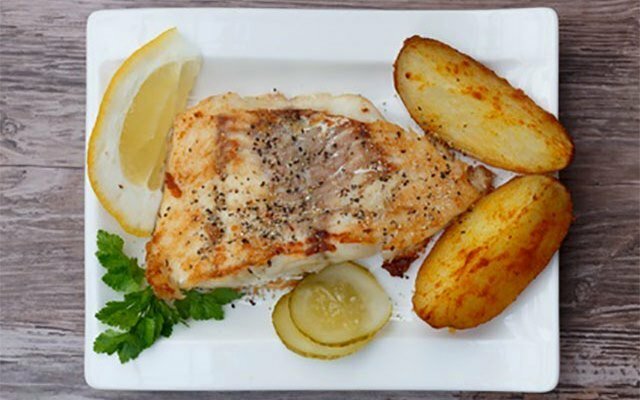 Grouper has a sweet, mild flavor, like a cross between bass and halibut (both are wonderful options to use too). Grouper also has a moderately firm texture. If you are marinating grouper fillets, do not go over 30 minutes or the flavor of the marinade will overpower this delicate fish. Blackened grouper or fried grouper to fill a sandwich or taco are some of my favorite ways to prepare them. Heat a heavy skillet on medium-high and add the tablespoon of olive oil. Meanwhile, we are going to season the fillets first. Sprinkle both sides with salt and pepper, Old Bay seasoning, garlic powder, onion powder and paprika. Lightly dust fillets with flour and place in the hot olive oil. Cook the fish until it flakes easily with a fork; approximately 4 minutes on each side. Brush fillets with the melted butter and serve immediately. Serve with roasted potato wedges. If you are having roasted potato wedges, make up a quick batch of homemade tangy ranch dressing. It really makes this dish. Get more grouper recipes from Miss Homemade here. 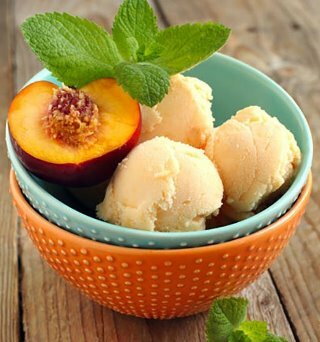 I recommend some homemade peach ice cream for dessert. So refreshing on a hot day. This delicious ice cream is a light and tasty ending to a beautiful meal.